Cursive handwriting - a dying art or an essential skill? By Meghan Hicks. Children who enter the classroom with a deficit in skills are aware of that difference from their peers and may have a loss in self-confidence. Either they have come through the 3-6 environment with the tools of language but without the means to use them, or they have entered Montessori after the 3-6 period and then neither have the tools nor the means. We must help these children acquire the most basic level of skills they need as quickly as possible and without drawing any attention to the fact that they are different. We must ensure that their lack of skill in writing does not affect their ability to participate in every other aspect of classroom life. If we approach the child honestly and with a sense of cooperation rather than coercion, we will enlist their help in their progress. Often the older child will come to reading before writing, if the language skills have not developed in the earlier plane. What can I do at home to best support his learning at school? Do you have questions that you would like to ask a Montessori teacher? I always have lots of questions. I often ask them at parent teacher interviews or at parent education nights. Today I've asked Meghan Hicks a question I've had on my mind for a few weeks (by the way Otis doesn't turn three until April). Not only is Meghan Montessori trained she has extensive experience in Montessori schools and importantly she is also a parent of two boys! Here is a question that I've asked Meghan and her response follows. I have a three year old child who has just started at a Montessori school. I'm feeling a little lost as to which activities to prepare or have available to him at home. What can I do at home to best support his learning at school? Your three year old is just moving out the period of the Unconscious Absorbent Mind and into a period of consciousness. He is still able to absorb everything in his environment effortlessly but no longer is this learning indiscriminate. He is able to screen out unwanted distractions and make discernments that correspond with his inner guide. 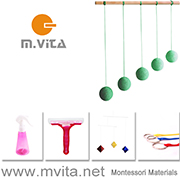 At his Montessori school he will be introduced to the Practical Life materials and the Sensorial materials to start with. There may also be some basic mathematical concepts introduced at this age, depending on his readiness for these. His teacher will be striving to help him to become independent of her and will be using the Practical life works to ensure that he can become self-sufficient whilst at school. You can support her in this work by choosing clothing that he is able to take on and off by himself. Shoes and pants, in particular, are important. You child will need to be able to go to the toilet independently and needs pants that are easy to pull down and up quickly. He will need shoes that he can take off and put on alone so that he can move freely between the indoor and outdoor environments without having to wait for an adult to help him with his shoes. Set up your self care area at home so that he is able to choose appropriate clothing and shoes for school, the night before, and can get himself dressed in the morning. A routine like this will alleviate any stress moments before school and ensure a calm start to the day. Your child is still very much in the Sensitive Period for Order and this preparation will support his need for external order. Practical life work remains the focus for the young child between 3 and 6. Ensure that your home environment reflects the importance of this work. Providing tools like brooms, mops, and dust pans that actually work is a way of recognising that this work is valuable and worthwhile. The processes of recognising that something needs cleaning, retrieving all the materials needed to complete the clean up, persisting until the mess has been cleaned, and then returning the materials to their proper place is all part of what Montessori teachers call the Cycle of Activity. When children begin to follow the cycle of activity from the beginning through to its completion, that is a sign that they are nearing a state of Normalisation, a term used by Dr Montessori to describe a child who is working in his natural state, versus a child who has to fight against the adults in his environment in order to fulfil his needs. You can support your three year olds developing ability to complete a full cycle of activity by ensuring that all materials needed to complete a job are on hand, that they are all real functional tools, that they are ready to be used, and that you are ready to observe his work with them. Your observations of his activity are your most valuable source of information. If you notice that he is struggling to complete a particular cycle then you will be able to assess how best to adapt your home environment to better support his independence. So go around each room in your house and inspect it critically with the goal of making everything as accessible as possible to him. 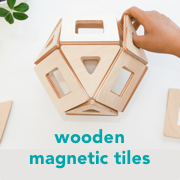 If your child attends a Montessori school it is not advisable to have Montessori materials that mirror what he has access to in his classroom in your home environment. Purchasing a pink tower for your home, for example, will take away the excitement of using it in the social environment of his classroom and you will most likely find that he is not interested in using it in either setting. Open ended blocks for building and other construction tools are more likely to received with enthusiasm and once again, if you observe his choices, you may find that he does not gravitate towards this work when he comes home from school. This will help you to determine what sorts of toys to put out. Always recommended are books and lots of access to you for reading and talking. Use his time at school to fulfil your adult agenda so that when he returns home you are free to follow his interests and offer him the gift of your time and energy. Some parents like to put out one structured activity for their children to explore at home. This would be based upon your observations of his interests at the time and if he has a sibling would possibly include something they can explore together. There might be some favourite activity from his time before formal schooling that you can keep available for him to use. It is characteristic of children in a transition period to want to return to familiar activities that have long been mastered as if to reassure themselves of their capabilities and competency. It may be worth having a few observations in his classroom so that you can observe the choices he is making in that environment to better inform the decisions you make regarding his home learning environment and what to include. You might like to plan excursions to local attractions that complement his interests at school. Bear in mind that the transition from a relatively unstructured and unhurried schedule of a home environment to the externally driven structure and schedule of a group school environment is significant. Your child may prefer to just hang out doing very little outwardly, but actually decompressing internally once he gets home from school. You will need to judge his needs by observing him when he is acting according to his natural inner guide in a non-coercive environment. It is your job to provide this non-coercive environment and to respect the choices that he makes within it. In short the period before six is when you provide the child with the raw materials needed to build his experience of the world. Every experience he has during this period of development makes it easier for him to construct connections and deepen his understanding of how the world works. This does not happen so much in a formal learning scenario as in a general unstructured living of family life. If you place your emphasis on creating a family home in which your child can express himself freely, choose fruitful activity where everything available is an equal and acceptable choice, where he can act independently and can care for himself successfully, where conflict is minimised, and where he is able to direct his own activity and contribute the well being of the family community, then that will be time well spent. Your child will be getting a lot of stimulation at school. What he will need most when he returns home is unstructured time with you. A huge thank you to Meg for answering this question. If you have a child at Montessori I highly recommend reading this article and then coming back to it in a couple of days. It makes so much sense to me and I think it's a must read for all parents with children in Cycle One (3-6 years).